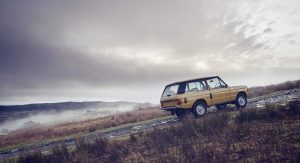 Land Rover recently released a teaser image of the upcoming Range Rover SV Coupe, which is set to make its debut at the upcoming Geneva Motor Show. While having a three-door Range Rover in the lineup may sound like a novel idea, it really isn’t – at least for Land Rover. 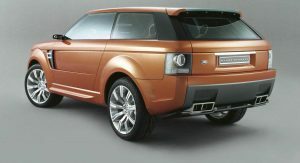 In fact, the Range Rover was introduced in 1970 as a three-door model only. 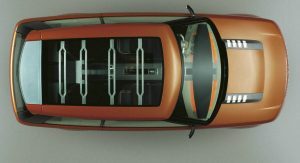 The body style was available for 11 years until the automaker announced a four-door body in 1981. 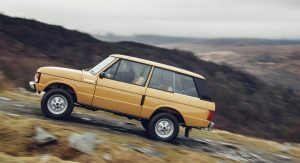 Needless to say, the vehicle was a hit, and Land Rover claims it was the first vehicle to offer permanent four-wheel drive and a split tailgate. Power came from a 3.5-liter V8 with roughly 130 horsepower and 185 pound-feet of torque. A four-speed manual gearbox was offered, as was a three-speed automatic. 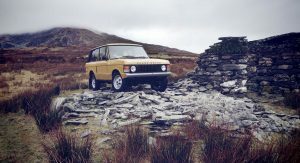 The original SUV was so popular that Land Rover Classic launched the Range Rover Reborn model early last year. 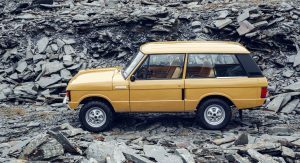 The limited-edition units of the Reborn model were based off of the original, three-door Range Rovers and were restored using period-correct components. 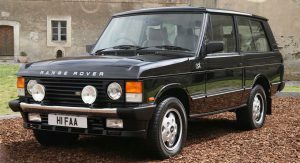 In 1990, the company announced a limited-edition two-door Range Rover called the CSK. 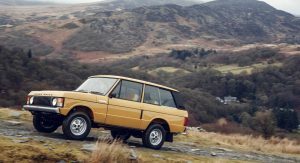 Aptly named after Charles Spencer King, the brilliant mind behind the original Range Rover, the limited-edition was meant to be a sportier SUV and market the brand’s new anti-roll suspension system. 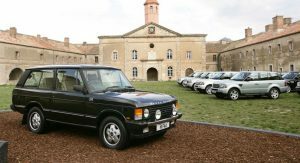 Plus, it also helped the automaker celebrate the 20th anniversary of the Range Rover. The SUV was powered by a 3.9-liter V8 that was tuned to crank out 185 hp. It also featured front and rear anti-roll bars and sport dampers, which gave the SUV a more comfortable ride. 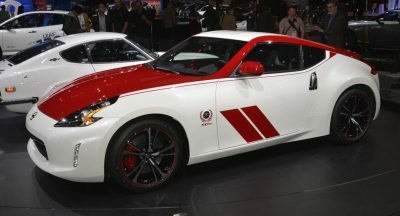 Just like modern special editions, the vehicle had a bespoke exterior and interior touches. Only 200 units were made, making them rare and incredibly expensive on the used market. 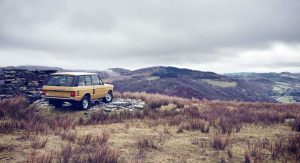 When the second generation of the Range Rover rolled around in 1994, Land Rover ditched the three-door body style. 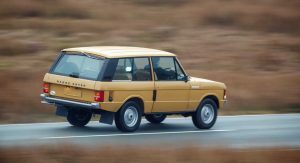 Another seven years rolled by until the third-gen Range Rover appeared in 2001, and there still wasn’t any word on a three-door variant. It looked like the brand had given up on the idea of selling a three-door SUV for good. 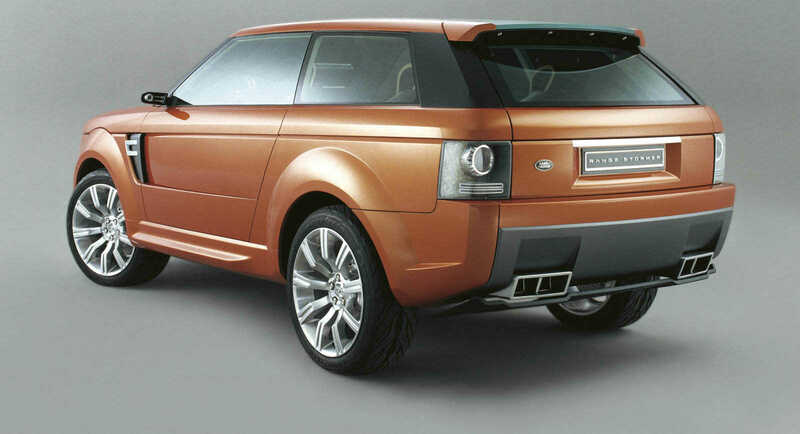 In 2004, though, it brought the radically-designed Range Stormer Concept to the Detroit Auto Show. 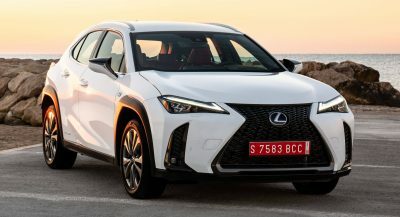 The vehicle had a gorgeous three-door coupe body style and was based off of the Range Rover Sport, which was sleeker than the boxy four-door Range. While it was meant as a concept, with scissor doors like a Lamborghini, it did preview the brand’s design language. The SUV came out before the insane crossover push, making it way ahead of its time. 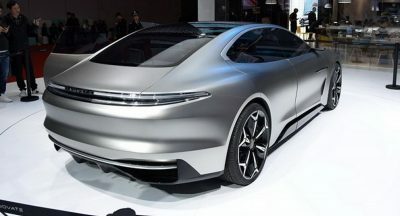 And the concept was powered by a 4.2-liter supercharged V8 pushing out 370 hp that was borrowed from Jaguar. It definitely looked like an answer to the Porsche Cayenne and BMW X5. Sadly, the Range Stormer Concept never went into production. 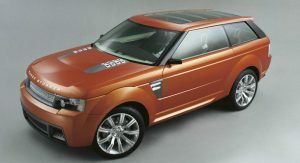 Another concept, though, the LRX that came out in 2008, previewed the Range Rover Evoque. Still, since 2004, with the exception of the Evoque, there hasn’t been a whiff of a three-door model returning to the brand’s lineup. With only 999 units of the upcoming Range Rover SV Coupe expected to be built, we’re sure seeing one in the flesh will be a rare occasion. But with Jaguar Land Rover Special Vehicle Operations responsible for the build, there’s no doubt it will be one really special SUV. and why would anyone buy it is beyond me. cars aren’t meant to appeal to everyone, otherwise we would all drive the same exact vehicle. there are lots of reasons why different vehicles exist. instead of judging, let’s celebrate the introduction of another model as another choice. at the end of the day, the only entity that gets burned if this fails is Jaguar/Land Rover, but it won’t with 999 examples being built which is such a small number, these will be so rare. I like this better than that odd looking urus cant wait to see the final product. Urus isn’t bad as an idea. 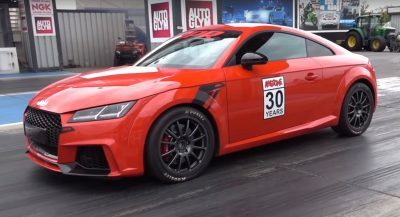 It’s just that they use too many car parts from Audi/VW group. For example, the door handles on the Lamborghini Urus are from Skoda. It’s a bit of a disgrace, that. It takes away from the allure and shine of the Lamborghini badge in the Urus. Love it! I would buy this. I have no use for 4 doors.